The name KEK could have been quite familiar for some to those who knows a fair bit about Cze Char in Singapore. Just recently, the siblings of KEK Seafood had been interviewed and aired on one of the local Television programs. 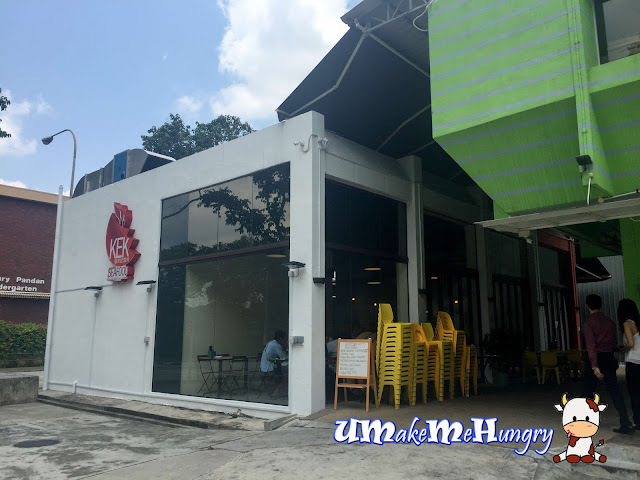 Having been to their Flagship Cze Char place in Bukit Merah, I can't deny they are classified as one of the popular and recommendable Cze Char in Singapore suitable for families. 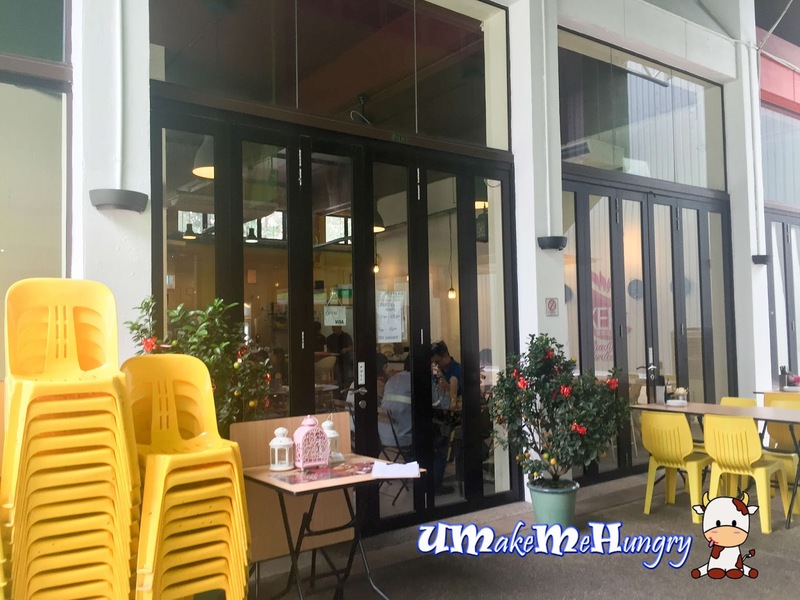 However, the unit in Pandan is of a smaller scale and serves modern Cze Char to its patrons even though their menu items are of slight differences. The sitting capacity of KEK in Pandan are limited with not much major changes from the last tenant, Sedap! Chairs and tables are simple and portable with not much designs or decorations in house. 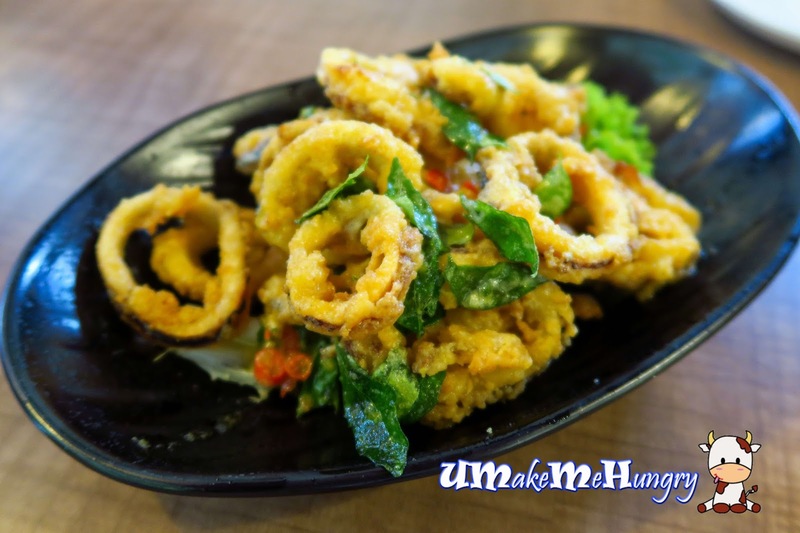 Just a start, we had already had our eyes all fixed on the Salted Egg Squid! Each ring was evenly coated with thin layer of sinful Salted Egg Sauce exuding the savoury flavour with cut bird eye chilli and curry leaves spicing up the dish. Simply irresistible and worth all calories! Loving home style cooking? Try these bite size pieces of Marmite chicken and reminisce the flavours of home cook food. Chicken was deliciously marinated and deep fried with evenly coated Marmite paste! Signature Moon Light Hor Fun came in two sizes and we order the bigger portion to share among ourselves. 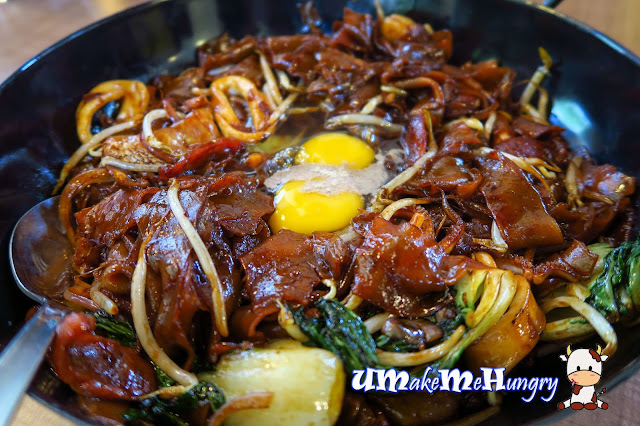 Noodles were wok fried to its aroma and coated with sweet dark sauce topping up with 2 raw eggs, resembling Moon Light. Other ingredients includes, sotong, vegetables, beansprouts, fish slices and chinese sausages. Mix them up with the raw eggs to obtain a silky smooth serving of Horfun. 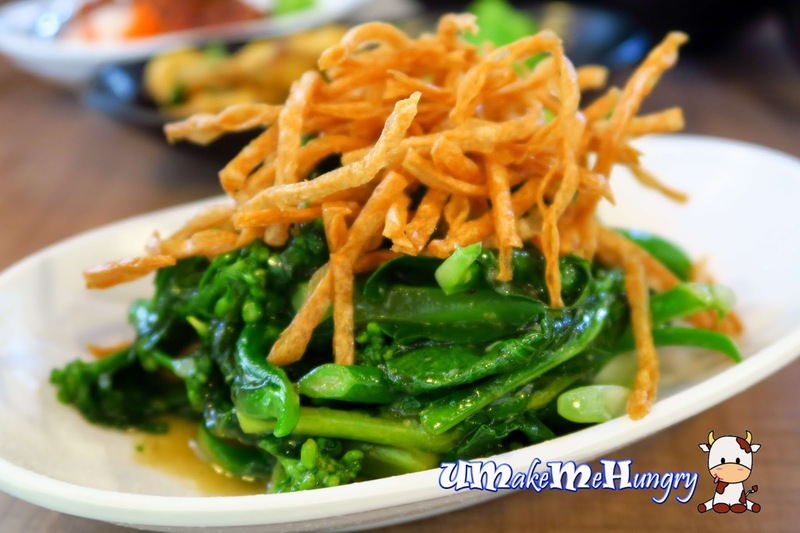 Since KEK proclaims its Mod "C" (Modern Cze Char), its time we should give their Wok-fried Spaghetti a try! 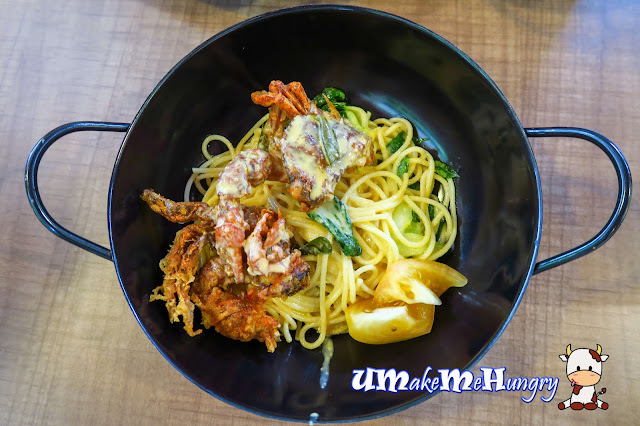 Spaghetti was tossed in the creamy and grainy salted egg yolk sauce given the silky pasta a textural touch. Adding on the pasta with delectable deep fried soft shell crab, the pot looked dangerously addictive! We were all cracking our heads on what could be the dragon beard that the menu was referring to when we were reading it. Well, it was actually none other than fried cod fish strips that we often had as tidbits during childhood. The greens were great with minced garlic and gravy of subtle sweetness. Kai Lan was succulent and crunchy. Though sinful, KEK in Pandan Garden has definitely satisfies the criteria of market requirements with salted egg yolk style of food in the trend. It's glad to know how traditional Cze Char is willing to open up new ideas and incorporate fusion dishes into their menu.